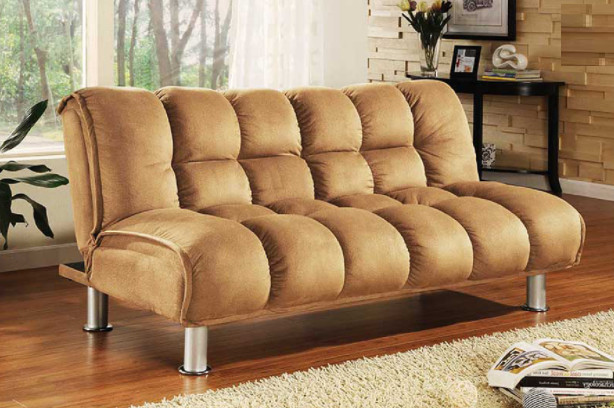 Visually stunning, comfortable and easy to transition, this klick klack is a success in every catagory. 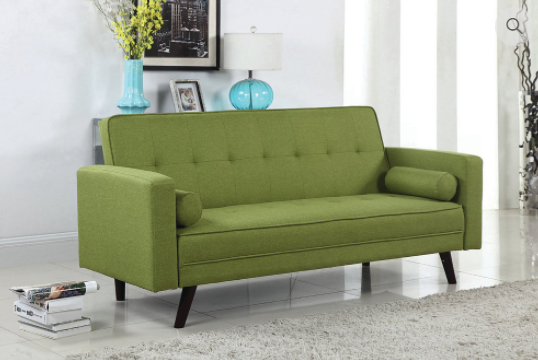 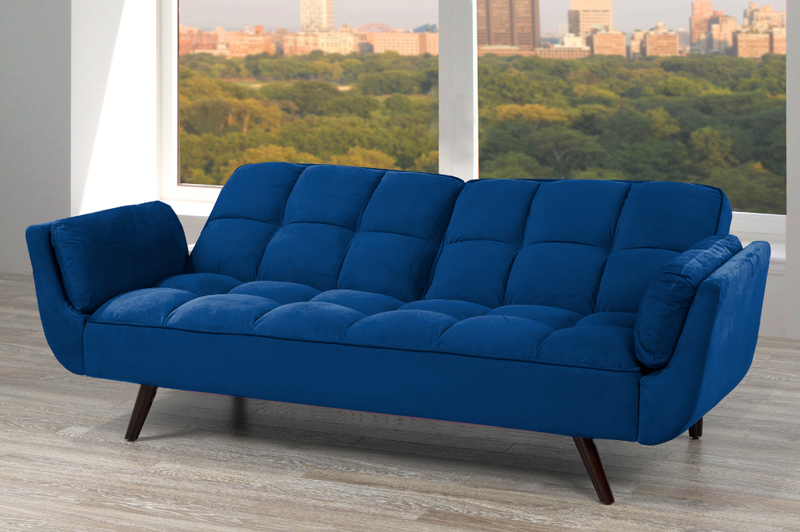 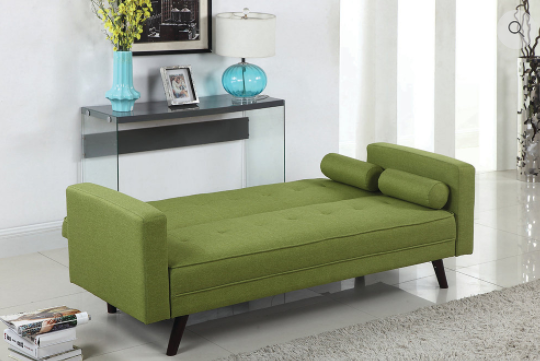 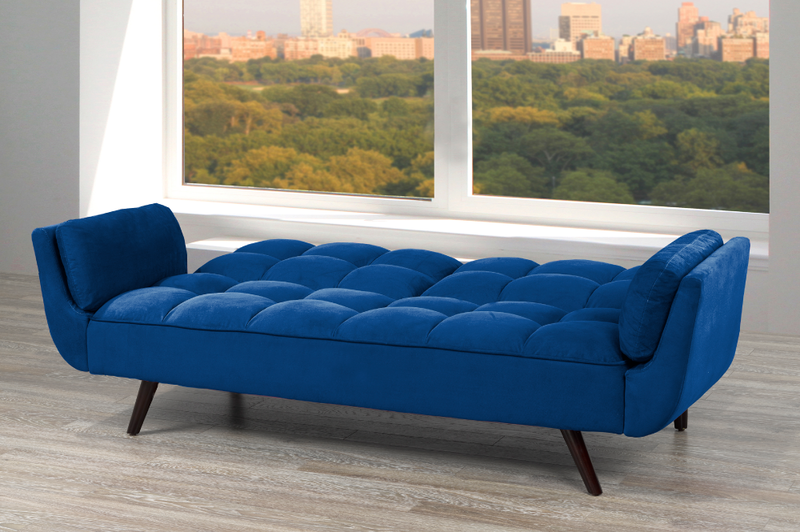 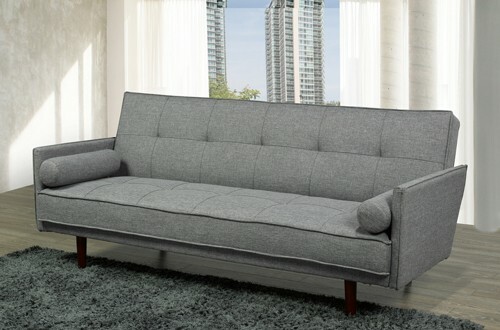 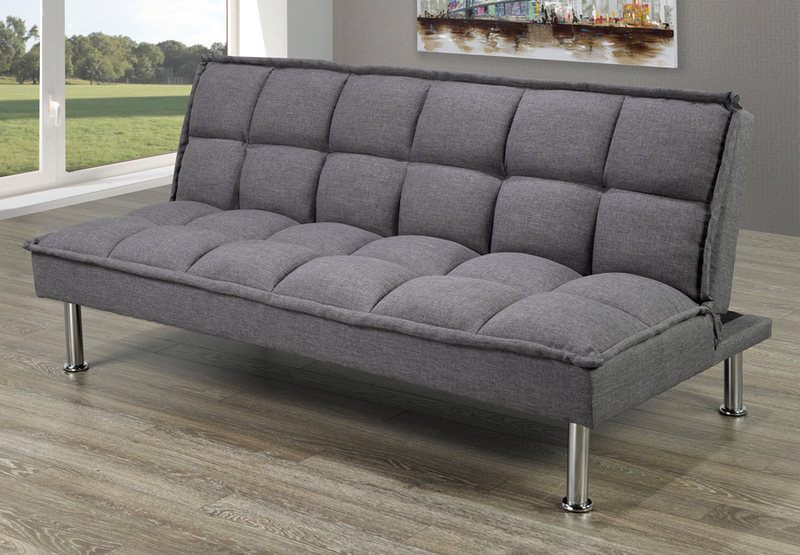 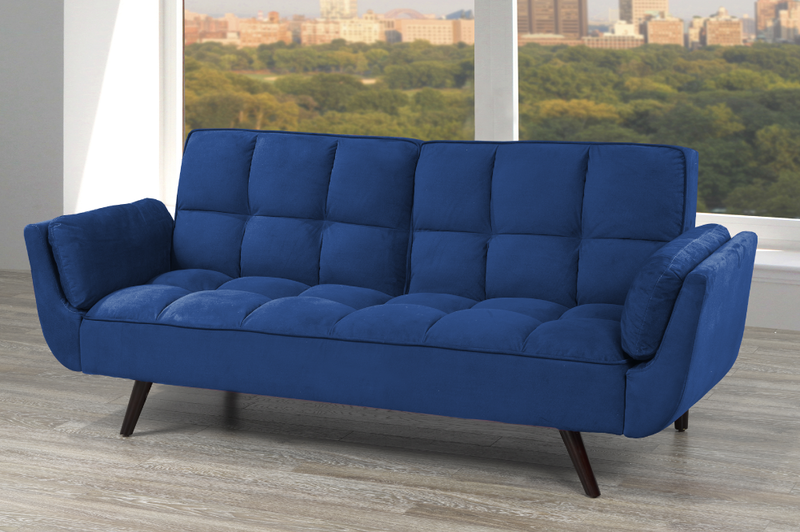 From the royal blue, velvet-style fabric, to the overstuffed, plush cushioning for added comfort, and stylish stationary arms, this piece is designed to impress. 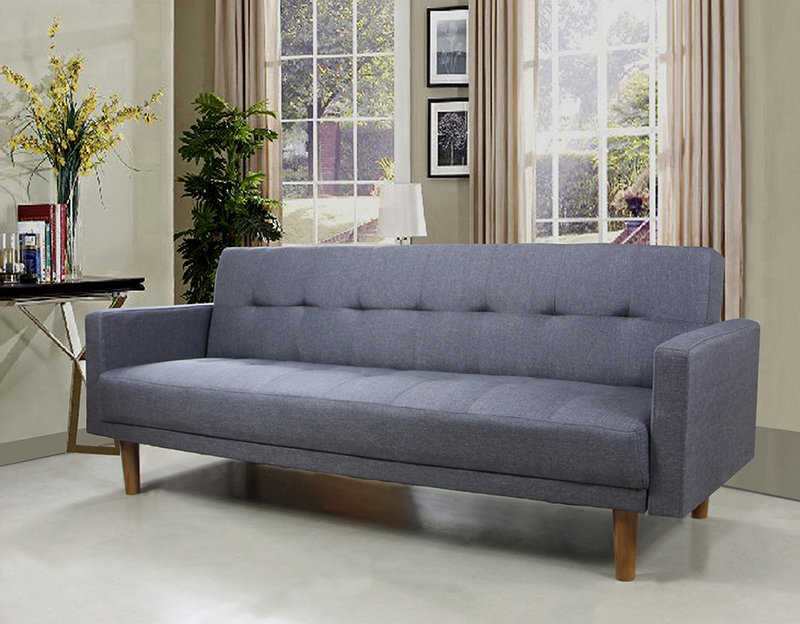 Transitions from tradition sofa, to lounge mode, to full-size bed.